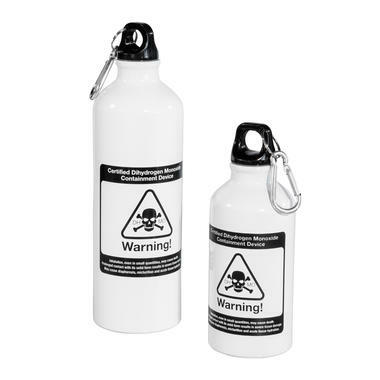 With this canteen, you can safely carry dangerous DHMO around with you! It's about time to talk about the elephant in the room: DHMO. Without any media coverage at all, this silent killer has claimed the lives of more people than one can imagine. In fact, most everyone who's consumed dihydrogen monoxide has died. 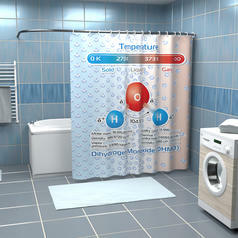 Be it in liquid form, vapour or frozen, DHMO is deadly. Well, you'll die of withdrawal within 168 hours! 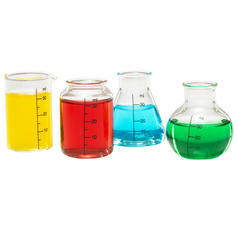 This is the reason why you should only use the DHMO Canteen to carry this dangerous substance around. 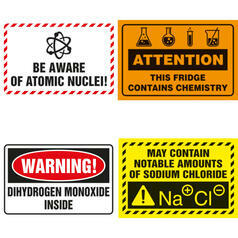 The printed-on warning label lets everyone how dangerous your cargo is and what it can cause: death! 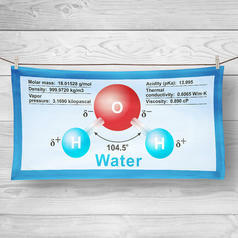 All jokes aside, dihydrogen monoxide is just the chemically correct term for H2O, better known as water. This example clearly shows how people are inclined to consider whatever has a complex scientific name as dangerous. So get ready to do a lot of explaining once you start taking this aluminium bottle with a screw-on top and a carabiner to work ;). 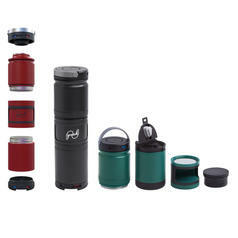 49,95 € lade... Golchi 2 in 1 Modular Insulated Bottle One thermos  infinite possibilities! 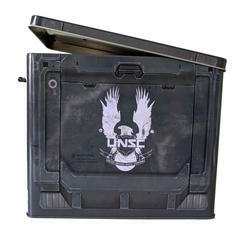 16,95 € lade... Metal Halo Ammo Crate Lunch Box Even the Master Chief never leaves the house without a proper lunch box!